Soft colors and the sound of moving water soothe the spirit and the soul. 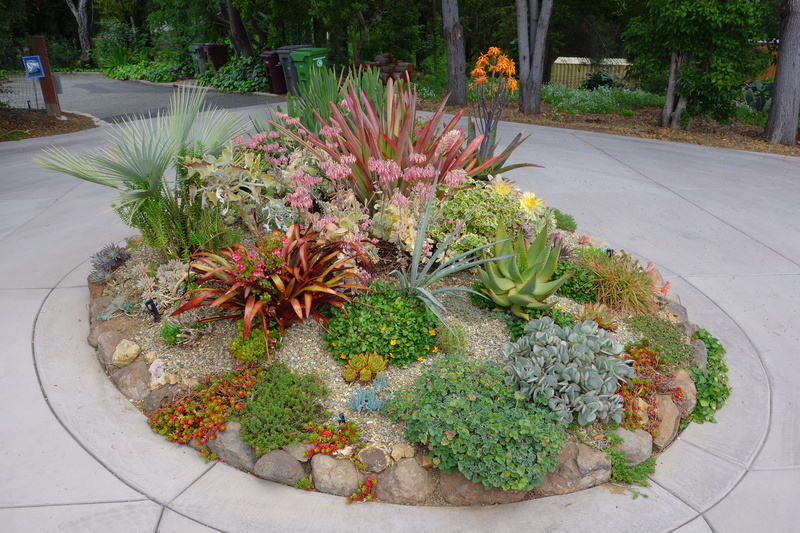 Exotic or native, the plant species selected for your garden will give it fullness and color. Many of us are looking for ways to reconnect with, care for and make a difference in support of the natural world and the environment as a whole. 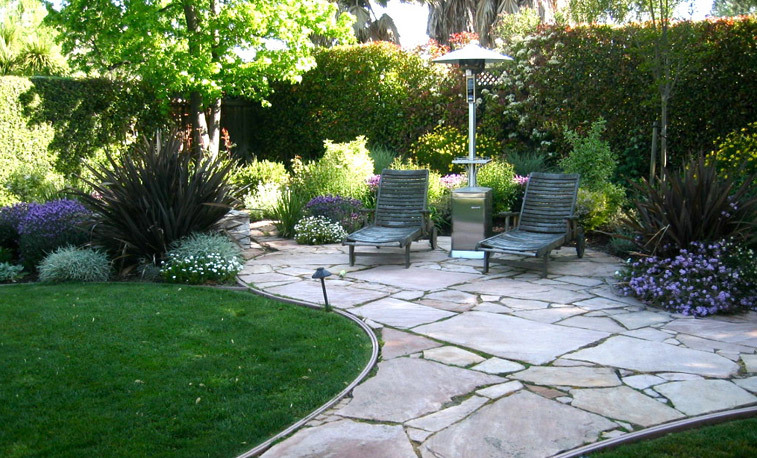 Conserve water and provide habitat for local wildlife with eco-friendly landscape designs. 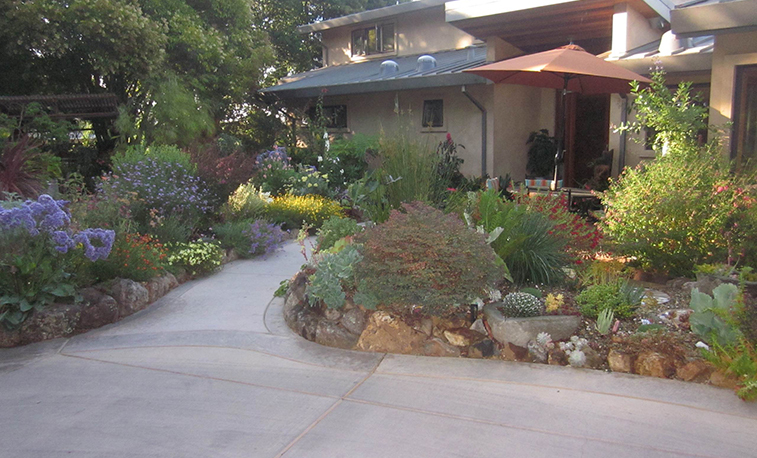 Choose from water wise garden installations and plant species requiring minimal care. 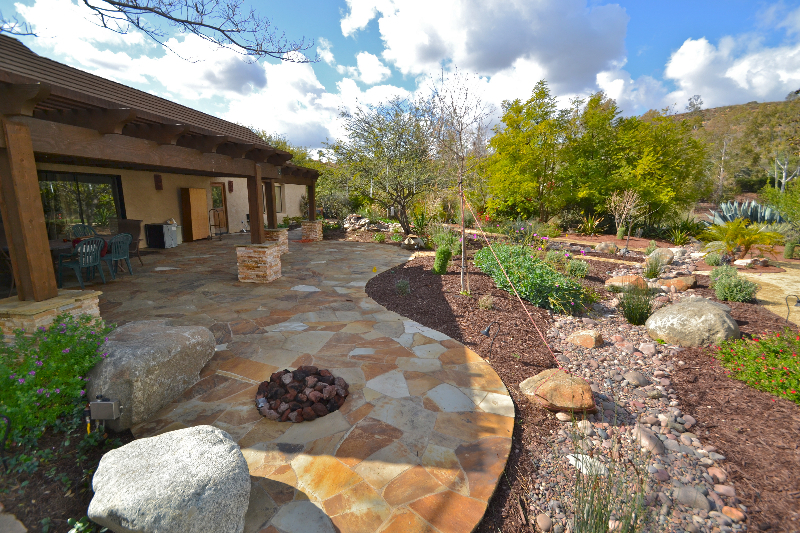 Create an appealing "theme": Mediterranean, Japanese Southwest or Cottage Garden while capturing the "essence" of this new garden. Your planting plan builds on the concept design by showing exactly where each new plant is placed and its eventual size in your garden. Hand watering is only a feasible option for the smallest of gardens. Most homeowners opt for an automatic watering system to establish their new garden so it can thrive during the long hot California summer and beyond. Working in the field of landscape design and horticulture for over 30 years has given me many exciting opportunities to work with people in their home environments. Many of us are looking for ways to reconnect with, care for, and make a difference in support of the natural world and the environment as a whole. My answer is that when a home garden becomes an oasis for both humans and wildlife, both property owner and environment benefit. 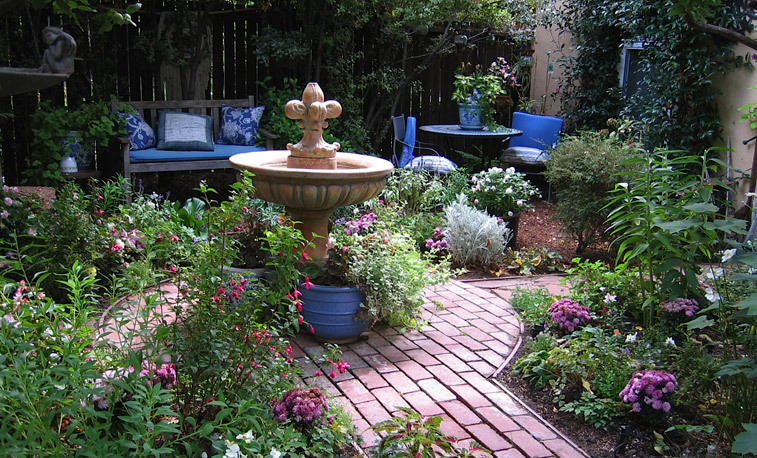 With skillful design, a garden can be a beautiful sanctuary for people and the native creatures we so often displace. This “wildlife gardening” approach can work at any scale, from urban rooftop garden to country estate.